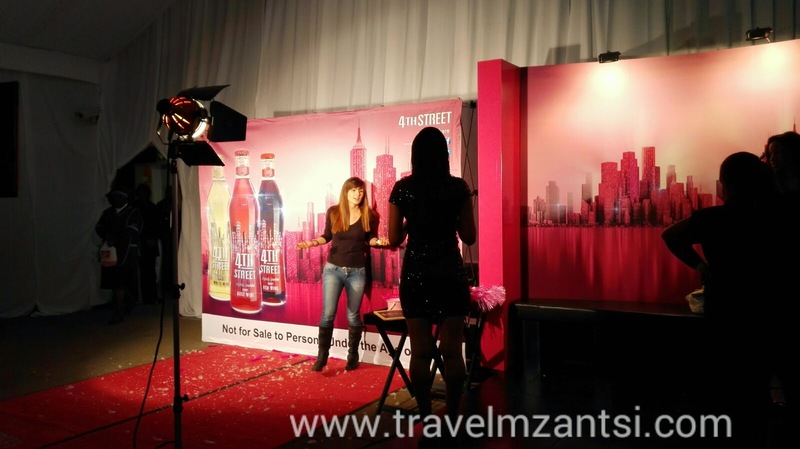 Last night I braved the Joburg traffic from Sandton to the University of Johannesburg, Soweto to attend the 10th annual Tops at Spars Soweto wine and lifestyle festival. Someone came up with a genius idea to put a whole lot of wine under one roof and introduce wine to the black middle class much to the delight of wine lovers like myself. I have always believed that there is no such thing as too much wine so with that in mind, I was ready to taste and meet new brands. 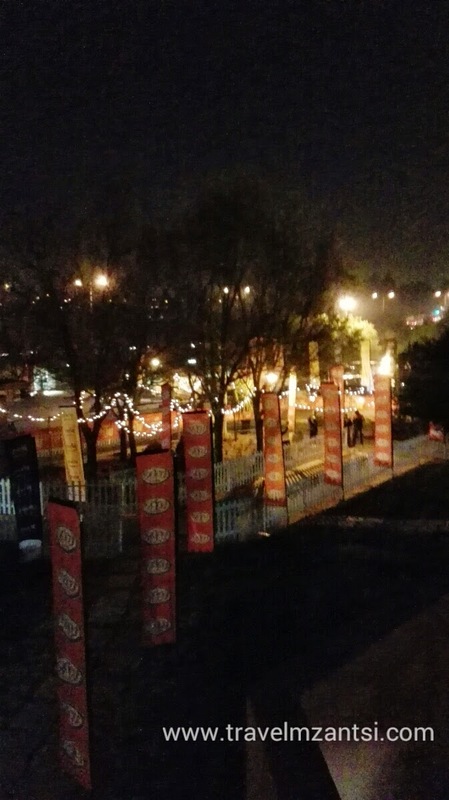 The entrance into the wine festiva with Spar branding. 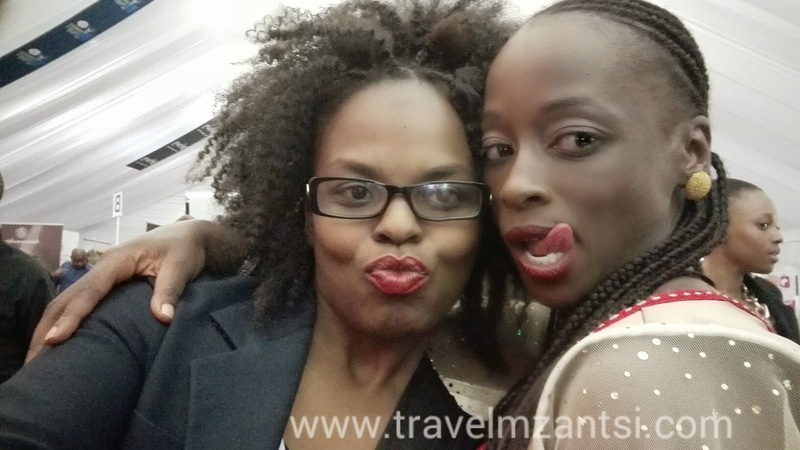 Our MC for the evening was the stunning Hlubi Mboya. 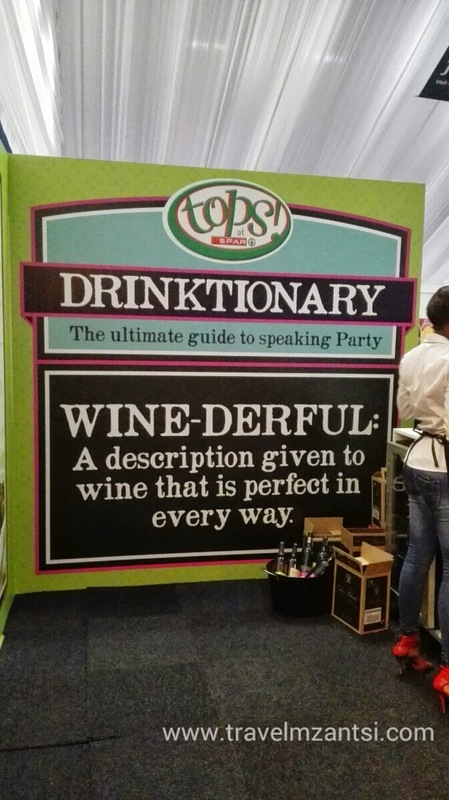 Let Spar teach you how to drink with the drinktionary. Most of the brands showcasing at the festival I already knew. There are some wines that were showcased and you got to taste that you actually don’t find at the liquor store down the road. Yes, I have been schooled. As you walk in you are greeted by the Fourth Street wines with their big pink stand. You get to taste the wines and if you buy a 6 pack of wines, you get to record a slow motion video. Was all very exciting, and the videos which will get posted onto their facebook page. 4th Street Slow Motion Camera setup. Durban City loves Joburg. I think us as Joburgers we need to adopt them. 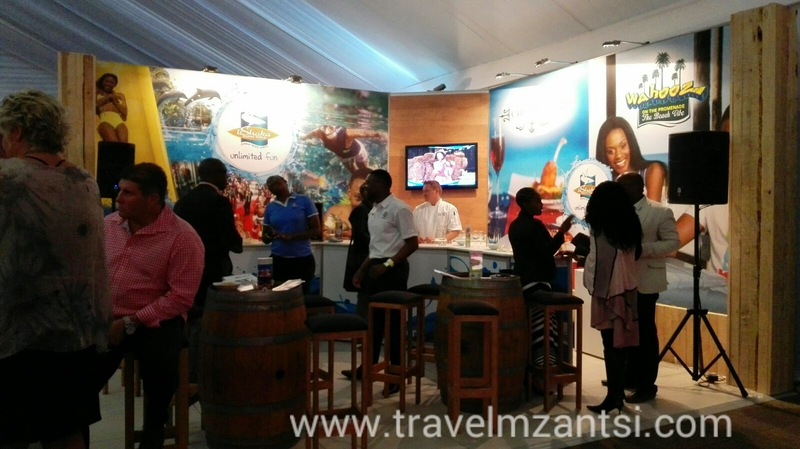 The city of Durban had a stand at the festival and Ushaka Marine world was also there. I won’t lie, whenever you go to shows where Durban has an exhibition stand, they always have the most eye catching and most interactive stand. For always standing out from the rest – You get a nod from the solo wanderer. The warmest city in the country.. Durban. 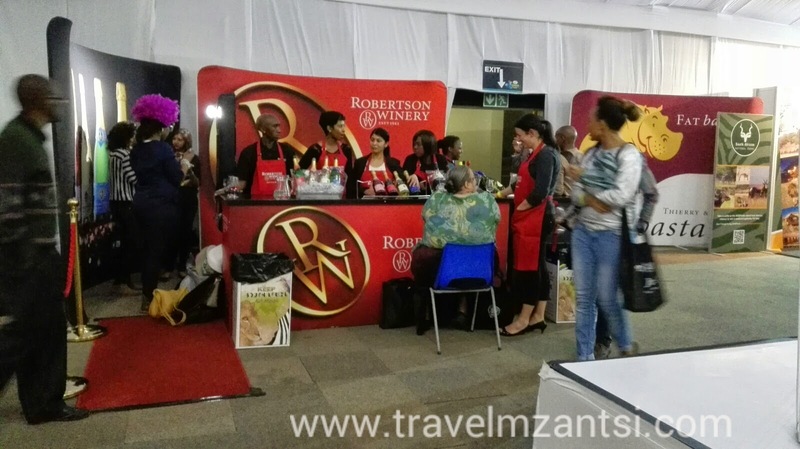 If I wasn’t working, I would have probably spent my whole evening at the Robertson Winery stand. They had a photo booth. And a whole lot of costumes that you can put on to make your pictures interesting. The pictures were printed instantly too. Someone advise them to join twitter, you can never go wrong with joining the twitterverse. The stand with a photo booth. Selfie lovers, Go ahead and prosper at this stand. The South African National Parks were also at the festival. They had a wheel you can spin to win a prize. I won a weekend away for two on my first attempt at spinning the wheel. Unfortunately the competition was not open as yet. I was just warming up the wheel for everyone else who would come and spin it during the weekend. You can also take a selfie at the stand and post your selfie on the facebook page and stand a chance to win a weekend away for two. I think i need a bush holiday now. Wait... Let me go post my selfie on Facebook real quick. I like the idea of pairing my wine with a bush holiday in one of our National Parks. Great marketing guys. 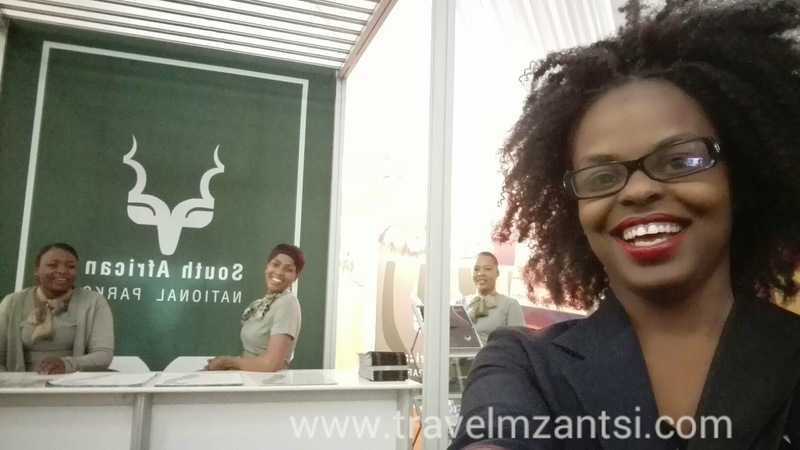 My Selfie with the South African National Parks ladies... Lets take it to Facebook. 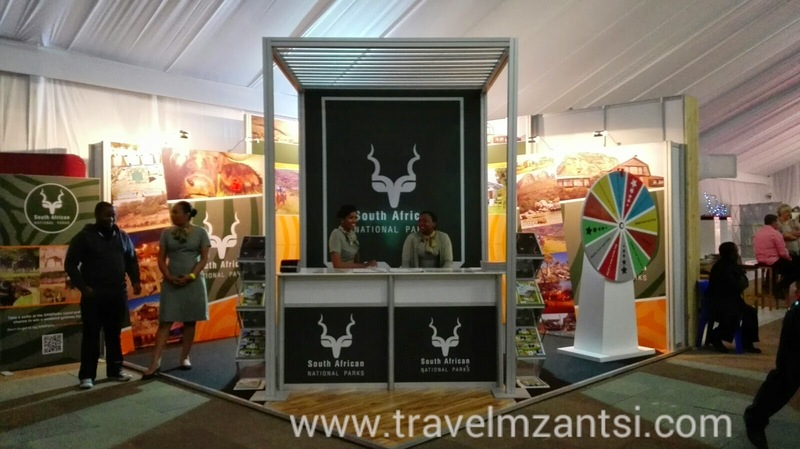 The S.A National Parks stand. Nederburg Wines, Robertsons Spice and Masterchef are also ready to introduce you to their Hero range of wines. It is all a true story. I really thought the stories weren’t true. Basically it’s the story of how Nederburg wines came about, such an interesting story. They have a food and wine pairing happening at their stand. All looked great but the vegetarian in me was not really keen on a medium rare steak. I tried the wines and enjoyed them very much. Head to the Nederburg stand to meet the Nederburg Heroes. Now when it comes to glamour, none can compare or even try to be as elegant and glamourous as J.C. Le roux. I got the chance to have a chat to J.C. LE ROUX Winemaker Elunda Basson, now this was so exciting. I got to tell her all about the 15 year old bottle of J.C. Le Roux. Elunda studied to be a wine maker. I never thought one had to study to be a wine maker. I keep learning something new in my wanderlusting ways. Elunda introduced me to the Methode Cap Classique range – This range you will not find at your local liquor store just down the road. Try it, it really is worth it. Perfect for your next celebration. 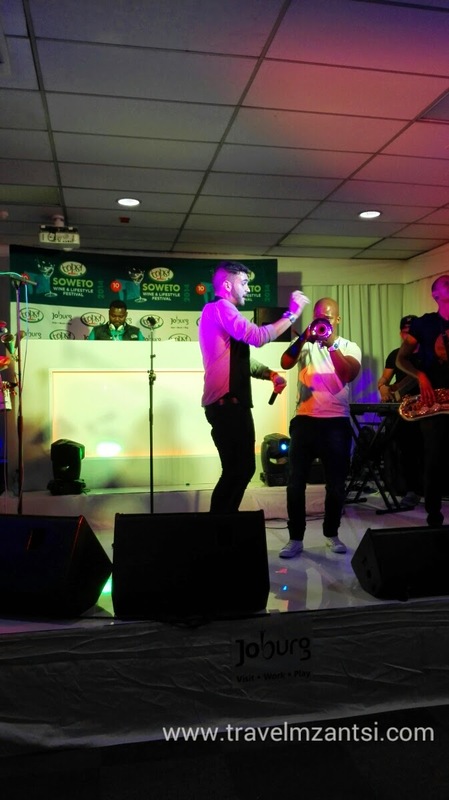 Up at the VIP section Micasa was entertaining the crowds. I believe I posted an instagram picture asking J Something to marry me. No seriously, Have you seen this guy perform live? How is one man this good looking, multi-lingual and so talented? 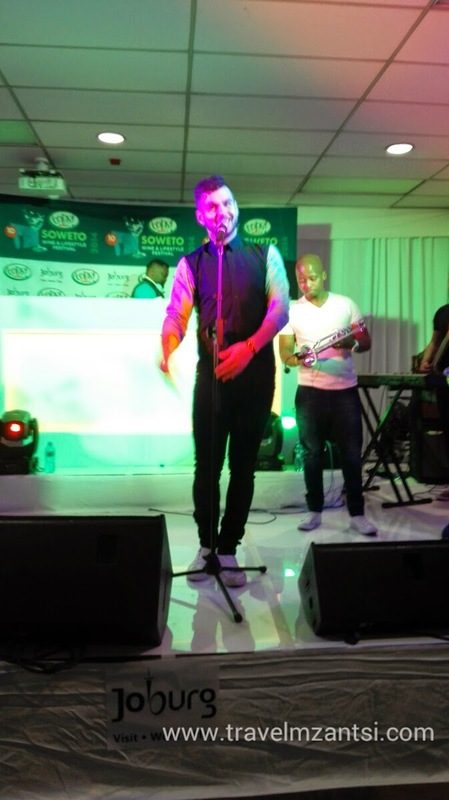 The ever so dreamy J Something of Micasa. Over all, the festival is very well planned and is worth a visit. Unfortunately no under 18s are allowed for obvious reasons. I believe the festival will just be getting better with the weekend unfolding. 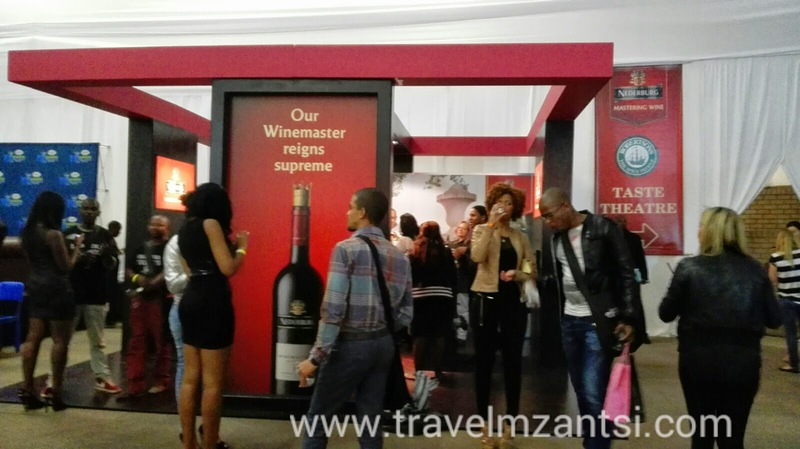 Now remember, the 10th TOPS at SPAR Soweto Wine & Lifestyle Festival is happening from Thursday 4th September to Saturday 6th September 2014. Opening times are Thurs & Fri – 6 pm to 10 pm and Sat – 5 pm to 9 pm. The venue is the University of Johannesburg, Main Hall, Soweto Campus, Chris Hani Road, Soweto. Make your way there sometime during your weekend. Being the responsible citizen that I am, I discovered the FNB Take me home service available to some FNB clients. This service provides you with two drivers that will come pick you up from wherever you are and the one driver will drive your car to take you home. I wanted to test it as it is fairly new service, The drivers were on time and very friendly. Was a guy and a girl, I decided I wanted the girl to drive my car and take me home. You have no excuse to drive drunk now. I definitely recommend this service for everyone. You book your pick up online. Always book in advance to be on the safe side. This type of service is very popular. 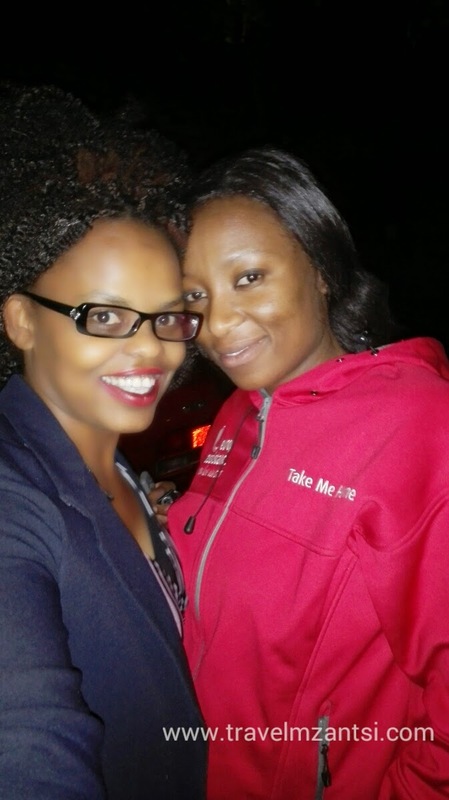 Meet Phumzile, My Take me home Driver.